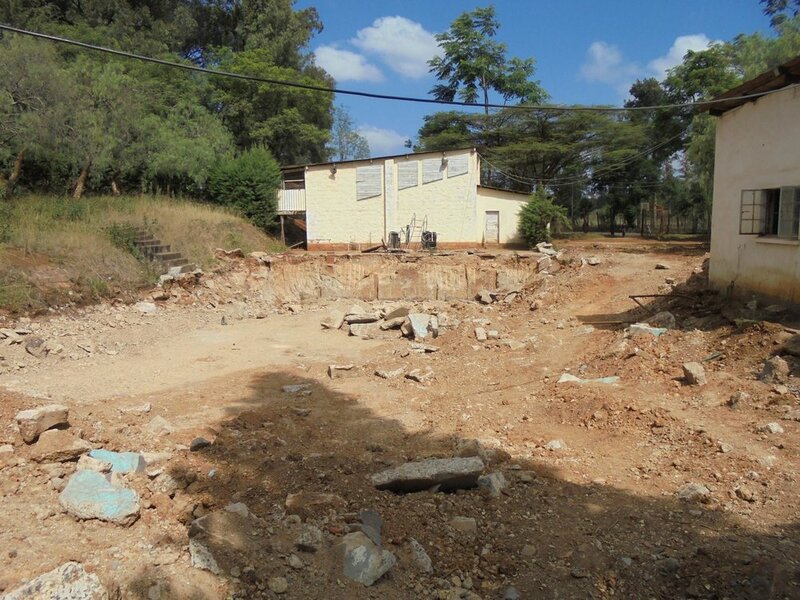 Lenana School goes from strength to strength and so does the community of Old Boys. The activities of the Laibon and the Old Yorkists are growing and varied. It’s been a while since a newsletter was last circulated, for which we apologise, so there is quite a lot to report, which we will attempt to cover now. We OKT Trustees have been wrestling with the challenge of how best to spread awareness of our charity’s activities across a greater number of alumni and entities. We are conscious of the fact that this Barua only reaches a limited audience of around 300 out of a probable 1,600 plus Old Yorkists who are still enjoying this life. Common sense, supported by academic research, has shown that the most effective method of spreading the word and generating enthusiasm for a project is through face to face contact and human interaction. So, I want to encourage recipients of this Barua to think of organizing an event, big or small, where alumni can meet up, such as in the pub, at a summer barbecue, for a golf day, sponsored walk, whatever. The invitees would be alumni you have kept in touch with or wish to renew acquaintance with in your geographic location, together with any other friends or contacts who would be interested in supporting a charity whose aims are to improve the education and welfare of pupils at Lenana school in particular and the youth of Kenya in general. Ideally we would like to establish the role of ‘Ambassador’ within many local geographical areas where this individual would become the conduit for information and the generation of funds from interested benefactors. If such a role would interest you, please let me know. I can assure you that we will not turn it into an onerous role and you will have our support. There have been a few such events in the last year which are documented below and they have proved to be very enjoyable, both in terms of renewing old friendships but also by discovering the extent of benevolent interest that has been channeled towards the Trusts. The activities and the events in Kenya and the direct contact with the school have been driven, since the inception of the OKT and the MKT, by Ronnie Andrews. His letter which follows will expand on those activities, but I first wish to acknowledge here his continuing enthusiasm and hard work for which he deserves our sincere thanks. Among other things in Ronnie’s letter, you will read that there has been a change at the top of the school as the Principal William Mwangi has, recently and unexpectedly, been transferred to take over at Alliance Boys High School. Given the position occupied by Alliance these days this was a promotion for Mr Mwangi. We thank him for all his commitment, vision and hard work which have improved Lenana during his tenure and we wish him well at Alliance. So, the importance of maintaining our good relationship with the school and the new Principal is going to be crucial. The old Boys of the school have become more involved, united, committed and more mobilised over the past year and this has also led to them becoming more ambitious. Their relationships with the Board of Management and with the Principal (and indeed all levels of the school admin) have improved immensely since the arrival of Mr. William Mwangi who took over as Principal three and a half years ago. The success of small initiatives and manifestations of support such as attendance at Founders Day Chapel service, AGM’s, Class meetings, etc. has led to greater efforts and input from some very important areas of Kenya society and the Kenya Government. The Old Boys are an increasingly important part of the school’s restoration. They knew and remember what it was like to be there and, with the benefit of age and the passage of time they can now focus on what REALLY is worth keeping or retrieving. As we now have increased cooperation between the stakeholders there is a clear movement to grow and improve for the future, whilst acknowledging the importance of history. The Board of Management, the school Admin, the Old Boys have all made a concerted effort to develop a vision, to work together and to begin the work of bringing the school to the level it can be – THE leading Academic and Sports development Academy in Eastern Africa. So successful has this been that elements of our model are now being copied by others and we are especially sad to see the transfer of our Principal, Mr. William Mwangi, to Alliance Boys High School. But the structures that have been put in place remain in place and we whole heartedly welcome Mr. William Kemei, the new Principal, who can be assured of the support of a united group of stakeholders all ready to work with him to continue the process of rehabilitation and growth. Lenana School is thriving. The activities of the Old Boys are looked upon by the alumni of other schools with some jealousy. We believe that our success was itself instrumental in part, in the move of the last Principal, Mr Mwangi, to Alliance. The fundamentals are that the school is now 1300 pupils in 6 Blocks sited on around 250 acres of land much of which is not utilized sufficiently. Blocks 1, 2, 3 and 4 were built in the 1950’s and the House buildings were meant to last no more than 25 years and I suspect the same goes for the staff housing. Facilities were built to standards that do not apply today and there has been much deterioration. A brand new tuition block and library extension between what was Thomson House ( now Tom Mboya House ) and what was Upper Junior House. The completion and commissioning of Mandela House; the first part of Block 6. The extension of the dining facilities of Block 5 to accommodate Mandela boys. A Catholic Chapel built by adapting the Gym and extending it. The refurbishment of the Sanatorium and some staff houses including that of the Principal. Approval of plans and funding for a central dining facility (and I’m not sure – this may be one of two) instead of Block dining rooms. The start of the rebuilding of the Golf Course into an 18 hole National Golf Academy. The recreation of the correct Honour Boards for display in the main hall. As Laibon or Old Yorkists we have also begun the process of building an all new 25 meter Swimming Pool and filtration system, Squash Courts and changing Rooms as well as planning to make an all-weather area for tennis and basketball at the site of the tennis courts. Laibon have, during recent years, provided a few scholarships and some bursaries, various sports equipment, some mentoring programmes, university scholarships and much more. The Optimum Kenya Trust and the Msaada Kenya Trust are now supporting 11 financially needy but academically strong pupils and there is a possibility of extending this program in the coming months. Msaada is also providing support to some of the Laibon initiatives. You may recall the disappointment of the first five pupils in 2015 to whom we awarded our bursaries who failed to maintain their performance and who consequently lost our financial support. Thankfully we can report that those selected in 2016 have lived up to expectations and so we are continuing with their grants in 2017 and we have just selected five additional students for this year and the photograph here is of the ten plus one other; Kevin Gitahi, who is a special case as we will explain below. Kevin was a star pupil at Gitiba Primary School, Dagoretti and on achieving qualifying marks in the KPCE examination - he came second in the whole country - he was given a place at Lenana and the letter below is a summary of the events that led up to us agreeing to provide him with a bursary. This experience could lead to our taking a greater interest in pupils like Kevin who have the ability to progress from primary to secondary education but fall by the wayside because of a lack of parental support both financial and moral. My name is Lucy Wariara from Dagoretti, Nairobi, Kenya. I was given your contact by Beatrice Gachenge (copied),who was referred by Wallace Kantai (copied) after reaching out to him as an alumnus of Lenana School. This was after I shared the story of Kevin Gitahi with her. I come from the same village with Kevin. I got wind of Kevin’s plight on Thursday by coincidence. My father informed me of the number one girl, Evelyne Maina from Gitiba Primary School who had been admitted to a National School but comes from a very poor background. In the process of verifying the story, I visited the school at which point the headmaster Mr. Wambugu presented to me another desperate case of the second best student, Kevin Gitahi who scored 377 marks and has been admitted to Lenana school. Kevin and his family live in kamwanya slums in abject poverty, so much so that that the parents saw no need to pick the admission letter from the school because paying high school fees is simply out of reach and unthinkable for them. His mum, is a house wife doing odd jobs in the community earning less than $2 a day while his dad is jobless doing manual jobs. Their primary concern is subsistence - food for the family of six Kevin is the second born with three siblings. Thanks to the free primary education, Kevin beat all odds to emerge second and admitted to a national school. As of Thursday last week, Kevins parents were yet to pick his admission letter to Lenana School from Gitiba Primary School as they have no hope of further education for him. I found the lack of hope very sad. That was when I spoke to friends such as Beatrice to see how we could help both Evelyne and Kevin. Luckily my employer has agreed to sponsor Evelyn for the four years. Beatrice was informed by Wallace that you were willing to assist Kevin. This is highly appreciated because it will not only give him hope and open a world of opportunities for him, but most importantly lift his family from abject poverty. Kindly let me know how we can connect and support this noble course. If you have someone in Nairobi, Kenya who we can visit Kevin’s home and school , I am more than happy to take them at the earliest to confirm that this is a deserving case. Unfortunately time is not on our side since Friday was the deadline. I am going to the village on Sunday to present the bio to Evelyn and help her prepare for school on Monday. I could therefore connect with your contact during the day. Nb. The deadline to report to school was yesterday 13.01.2017. As you have read the Laibon Society have taken on the challenge of funding the renewal of the swimming pool and this is underway as you will see from the photographs below. The work was put out to tender and the successful bidding company for the pool and the new filtration system is run by Charlie Fraser, an alumni with Ronnie Andrews, so there is the confident expectation that the work will be to a high standard and the project will be achieved within time and budget. The budget for the pool and the filtration plant is KS 9m and we, the OKT, have paid KS 500,000 towards the project and we have committed a further KS 500,000 once the Laibon Society have raised KS 6m themselves. The existing swimming pool has been knocked in and work started to resurface the area. The squash court and the tennis courts are in very poor shape. Fortunately, there is an offer from Nigel Champion, who is an alumni and now a leading Australian squash player, together with the Kenya Squash Racquets Association to fund the refurbishment of the squash court and they are considering building a second court. Another current proposal is to replace the tennis courts with an all-weather multi-sport surface so that the courts may be used for basketball, tennis, five-a-side etc. This project is well underway and you will see from the photographs the major groundworks are nearly complete. The project is being led by two Government Principal Secretaries, Dr Kamau Thugge of the National Treasury – he is an alumni - and Dr Belio Kipsang of State Department of Basic Education, so it has the support of the Government and the involvement of a number of relevant ministries as well as the Kenya Golf Association. The OKT has not been asked to contribute towards the costs involved. We have seen a recent progress report and the expectation is that the work will be completed before the 2017 elections but it will probably not be until 2018 that the grass has grown and the fairways and greens are playable. This new facility has been the outcome of William Mwangi’s fund raising from the government and is an impressive addition to the educational facilities as you can see from these photographs. The following photographs are of recent OY gatherings in London and Nairobi, together with the first OY Golf Day organised by Alan May in April this year down in Cornwall just to prove that it can be done and all the occasions were well received by those who attended and revived a number of friendships and acquaintances, besides generating interest in the purpose of the charity and even raising some donations. L to R: Alan May, Simon Williamson, Nigel Gaymer, Rob Bradshaw, Mike Harrington, Rob Rowland, Gordon Chubb and Ken Doig. Mr William Kemei was appointed Principal to succeed William Mwangi in March of this year and Ronnie Andrews has had his first meetings with him, which were very positive and it would appear that the efforts and contributions to the school and its students by all of the alumni are understood and appreciated by William Kemei. Robin Crosher - ex Kirk House - has arranged for a Kirk House reunion together with a round of golf for those who want to play, at the Bushey Hall Golf Club in South Hertfordshire, close to Junction 5 of the M1 Motorway or Junction 19 of the M25/A41 South. There are railway stations nearby. The date is Tuesday 19th September and timings are 9.50 am for 10 on the 1st tee for golfers, 2.30 pm for non-golfers, 3pm sit down meal, conclusion by 6 pm. Some tee-off places are still available and non-Kirk House members are invited to attend and become honorary Kirkites for the day. Both Nigel and I shall be attending so we hope to see you there. Robin’s e-mail address is robin.crosher@ntlworld.com. Before closing I would like to repeat my request that some of you recipients of this Barua step up to the mark, in your local geographic area and arrange Old Yorkist, House or Class reunions, with or without golf, with or without other friends, but certainly with food and wine and/or beer, in order to enjoy the company and conversation of your fellow alumni and perhaps, in the process, raise a few bob for our worthy cause. To conclude, if there is news I shall distribute an OKT/MKT Charity update more often, once every 3 or 6 months perhaps. The next one will appear therefore before year end at the latest. In the meantime, if you know the e-mail address and location of any alumni that you know and who do not receive these updates, please send me their co-ordinates so that I can add them to the distribution list.